The Jerusalem Planning and Building Committee on Wednesday approved 49 construction permits for new housing units in Ramot settlement to the east of Occupied Jerusalem. 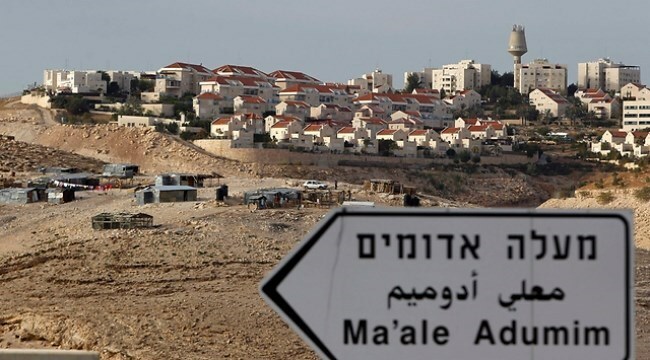 According to the Israeli Hebrew website “walla.com”, the new construction project will occupy two dunums in Ramot settlement to the east of the Green Line. Besides, Hebrew reports disclosed that the Israeli government spent about 83 million Shekels on settlement construction including 28 million Shekels that went for Beit El settlement as a compensation for evacuation of a neighborhood in 2014. The official reports, however, announced 17 million Shekels only. According to Haaretz newspaper, the 28 million Shekels, which were not included in the budget, were transferred by an order made by the Israeli Prime Minister Benjamin Netanyahu. The order was based on a deal with the leaders of Beit El settlement who agreed on evacuating five buildings established on Palestinian-owned lands. However, those buildings still exist, but the Palestinians are not allowed to restore their lands, the newspaper noted. It is also pointed out that the financial committee of the Israeli Knesset approved in July, 2014 the transfer of 170 million Shekels to the Israeli government for settlement purposes. The reports showed that the Israeli government funded many of random settlement outposts and offered compensations for settlers during the period of settlement freezing based on a political decision. Israel's former envoy to US has joined centrist party headed by Netanyahu rival Moshe Kahlon, and is questioning PM's handling of peace talks. 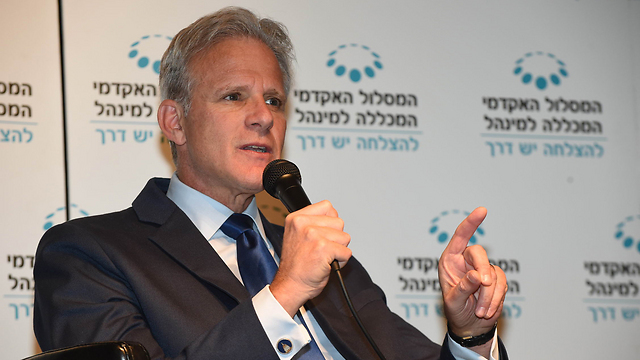 Israel has to start creating a "two-state reality" on the ground, says former Israeli ambassador to the US Michael Oren, by restricting settlement construction to major blocs and East Jerusalem - lands Israel expects to keep - while improving the living conditions of Palestinians. The American-born academic-turned-diplomat was Prime Minister Benjamin Netanyahu's envoy to the United States for more than four years. But when Oren decided to enter politics, he joined a former Netanyahu minister and began questioning the prime minister's handling of relations with the Palestinians. Oren is now a key figure in Kulanu, a new centrist party that may play the decisive role in choosing the next prime minister. While the party is focused largely on bread-and-butter issues, Oren is the diplomatic point man, pushing for bolder efforts to end Israeli presence in the West Bank after decades of failed negotiations. In an interview to The Associated Press, the 59-year-old Oren says the status quo with the Palestinians is unsustainable, and rejects Netanyahu's hard-line approach. Although he agrees with Netanyahu that there is no viable Palestinian negotiating partner - the sides cannot agree on terms - he takes issue with his former boss' announcement this week that he would not cede territory to make way for a Palestinian state. "I think we always have to say that we will be at the table and we are always ready to enter into final status talks," Oren says. "We have to lay the groundwork for a future final status agreement." Oren also rejects Netanyahu's unrelenting focus on Iran's nuclear program, saying the issues that most concern Israelis are their own country's high cost of living, especially housing prices. He agrees with Netanyahu's tough stance on Iran and commended his speech to the US Congress last week as statesmanlike. The speech antagonized President Barack Obama because it was arranged without the knowledge of the White House and criticized US-led negotiations with Iran. "The question is whether it justifies the price of hurting relations with the Americans," said Oren, an historian and best-selling author. "Damage was done and it is essential we do everything to repair that damage." Unlike current Israeli Ambassador Ron Dermer, Oren says he was never a member of Netanyahu's inner circle and was chosen for the job mostly because of his academic expertise on the United States. Oren says Kulanu's leader, Moshe Kahlon, was the most inspirational of the dozens of Israeli dignitaries who passed through Washington during his term there. The son of Libyan Jewish immigrants, Kahlon grew up in a hardscrabble town in northern Israel and worked stints as a fisherman and fruit vendor before becoming a high-profile politician. "It's Lincolnesque," says Oren. "It's Israel's version of a log cabin." Kahlon's crowning achievement was taking on Israel's powerful wireless cartel as communications minister, introducing competition and forcing lower mobile phone prices. A former member of Netanyahu's Likud Party, Kahlon now expresses support for territorial compromise and a Palestinian state. Many Israelis feel the continued control over millions of Palestinians is unsustainable, and that the country must agree to Palestinian independence to preserve its Jewish and democratic character. Kahlon's campaign, however, has focused almost exclusively on economic issues. He has refused to endorse either of the two leading candidates for prime minister, Netanyahu or Zionist Union leader Isaac Herzog. Both have a bloc of parties behind them - but polls strongly suggest neither will win a majority in the 120-member parliament. That could make the non-aligned Kahlon, who has been polling at around 8-10 seats, the kingmaker. 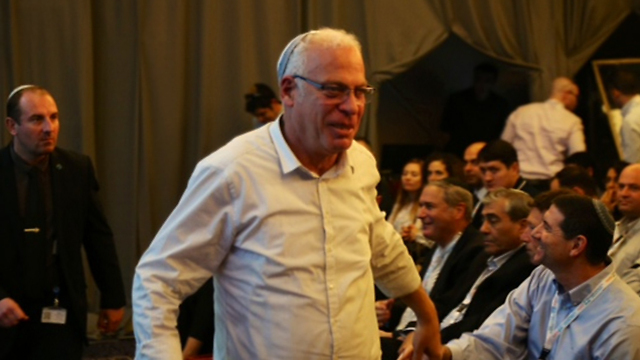 "We have not ruled out any coalition," says Oren. The Israeli occupation authorities (IOA) have opened part of a freeway connecting Israeli settlements in eastern and southern Occupied Jerusalem city. The passageway dismembers the Beit Safafa village and separates between families of the same community. Observers warned of the serious repercussions of such a Judaization scheme and of Israeli intents to eliminate the Palestinian character and existence in Jerusalem’s neighborhoods. 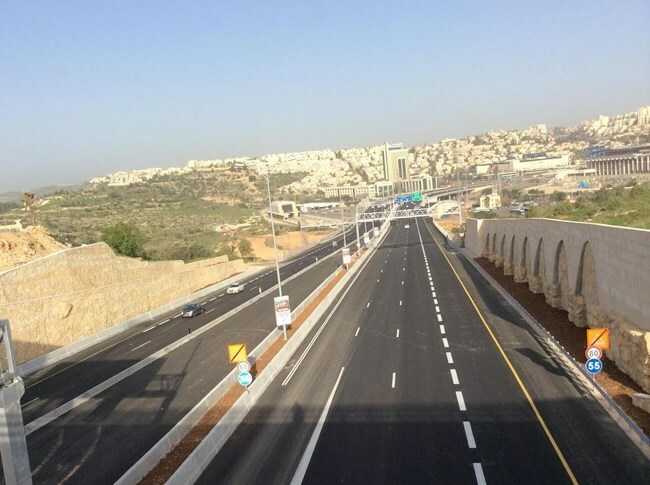 The highway, which makes part of a Judaization bid implemented by the Israeli municipality in Jerusalem in coordination with the ministry of transportation, passes over two kms through the heart of Beit Safafa. 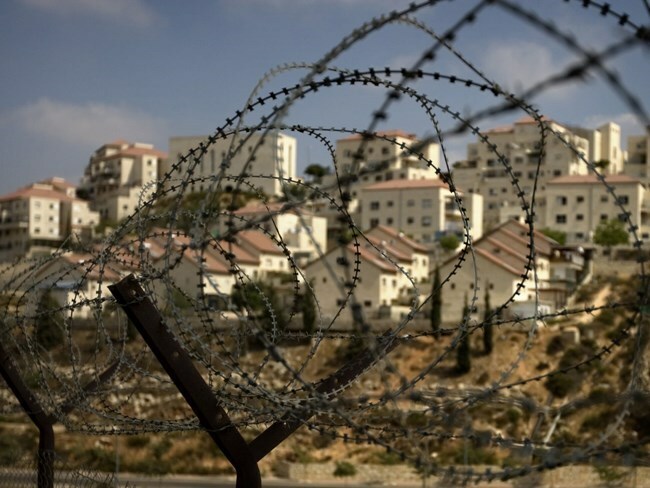 The bid aims at smoothing Israelis’ access out of and into Occupied Jerusalem and connecting the different tissues of Israel’s illegal settlements in northern and southern Jerusalem. 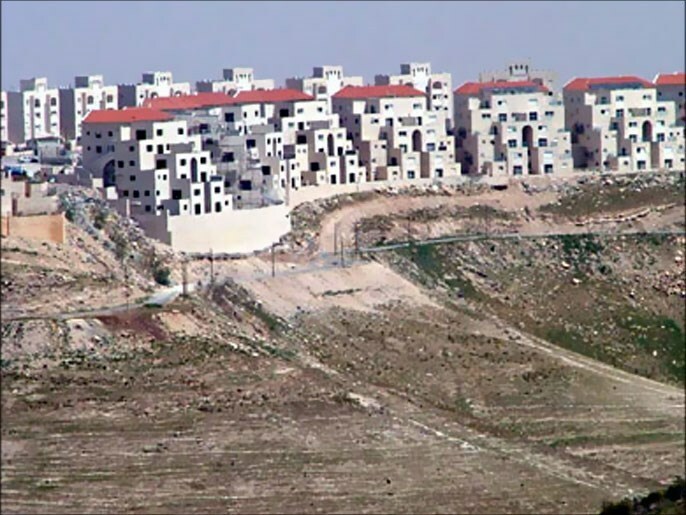 The implementation of the tender led to the confiscation of around 300 dunums of Beit Safafa private land tracts and 400 dunums of land lots in both sides of the street, along with hundreds of dunums previously confiscated in favor of illegal settlement expansion. The highway not only disconnects the different parts of the village but isolates whole families and neighborhoods from each other and blocks all means of socio-cultural exchange between the Safafa community members. The Israeli occupation authorities turned blind eyes to the distress signals launched by some 12,000 native inhabitants to minimize the socio-demographic threats implied by the bid. Netanyahu’s aid during the time of the speech Ron Dermer said the Prime Minister vowed commitment to the two-state solution, establishing a Palestinian State along the 1967 borders through peace talks. It said the concessions completely contradict all positions and stances Netanyahu currently presents. It said the alleged commitment came when the Quartet sponsored direct talks between Israel and the Palestinian Authority, especially since Blair was skeptical about the sincerity of those statements, an issue that pushed Dermer to commit in writing. According to the Ynet, Dermer denied the report, and said there has been no commitment of any type regarding this issue, and that the issue here is just about a paper that was meant to help advance stalled negotiations. It said Netanyahu dispatched, in his second term in office, a close affiliate to talks with the Palestinian side, “offering drastic concessions” that include land swaps, a limited Right of Return to the refugees, and a potential deal on Jerusalem. The Ynet said, after the “concessions list” was revealed in August 2013, its print publication, Yedioth Aharonoth, published a summary of the results of secret talks between Netanyahu’s senior aide, Yitzhak Molcho, and Palestinian official Hussein al-Agha. Head of the Central Command of the Israeli army Maj. Gen. Nitzan Alon signed an order canceling the status of an army firing zone in the Jordan Valley, which will allow for the expansion of the settlement of Ma’aleh Adumim, Haaretz newspaper reported Sunday. The Israeli military has reportedly cancelled the status of a training zone in the Jordan Valley in yet another attempt to further expand the regime’s illegal settlement activities in the area, according to the paper's report. However, the army continues to demolish Palestinian homes in the Jordan Valley claiming they are in firing zones, the same source added. On January 18, the Israeli military ordered a reduction in the size of the Firing Zone 912 to allow the expansion of the nearby Ma’aleh Adumim settlement. The area, which was declared a firing zone in 1972, covers approximately 150 dunums. Israeli officials have already unveiled plans for the construction of 88 housing units, in the first stage, in the area called Nofei Adumim. The newspaper further quoted an Israeli settlement expert as branding the firing zones, which cover almost 1 million dunums in the West Bank, as a "ploy" as most of those areas have never been used for military operations. He dubbed the confiscated land lots "reserve tracts’’ to be used by the Israeli authorities in favor of illegal settlement expansion at the ‘’right’’ moment. A Palestinian official report disclosed that the Israeli Municipality in Occupied Jerusalem has recently contracted with French companies for the purpose of implementing Judaization projects in the holy city. The report, issued on Saturday by the PLO National Office for the Defense of Land and Resistance of Settlement, revealed that the Israeli Municipality has resumed its works on a project that aims to construct chairlifts in the Old City of Jerusalem. This Judaization project will consist of four stations, very close to key Islamic holy sites, in addition to dozens of huge pillars that will cross the Holy Basin of Jerusalem, the report pointed out. The report also disclosed that the Israeli Municipality signed a contract with SAFEG French company which in turn contracted with another French firm called Poma and specialized in chairlift construction. Besides, this project is managed by other Jewish companies concerned in Judaization of Jerusalem, the report added. It is a continuation of an earlier Judaization project with a cost estimated at one million USD in Silwan town to the south of al-Aqsa Mosque. The project is marketed under the pretext of tourism enhancement in “David City” settlement outposts within the Israeli project called the “National Park”. In a similar context, the report showed that the Israeli Occupation Authority (IOA) continued confiscating the Palestinian lands in the West Bank. The IOA announced its intention to establish a new settlement outpost which is going to consist of five units over Palestinian lands in a nearby town, according to the report. The IOA also intends to establish new commercial and industrial areas over the lands of two West Bank villages. This project threatens the main entrance of one town in addition to Palestinians’ houses and farms whereas large areas of agricultural lands would be subjected to confiscation. Bayit Yehudi Housing Minister Uri Ariel is holding treasury hostage with his budgetary demands, refusing to approve IDF transfer to new Negev bases unless excess settlement expenditure gets okay. 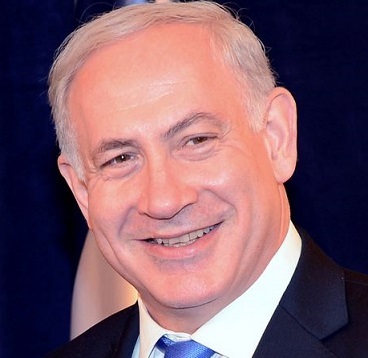 The Housing Ministry has prepared a nice going-away gift for Prime Minister Benjamin Netanyahu on the eve of his trip to Washington – plans to build more than 48,000 new housing units in the West Bank, and another 15,000 or so in East Jerusalem. The building beyond the Green Line has been incorporated into the ministry's construction plans for other regions of the country – a total of around 279,000 new housing units. The list of communities and the number of housing units came to light during the course of discussions over the past few days between Housing Ministry and treasury officials, on the backdrop of the Housing Ministry's demand for significant budgetary supplements. Housing Minister Uri Ariel (Bayit Yehudi), who also serves as chairman of the Israel Land Authority, has refused thus far to present the agreement for the transfer of the Israel Defense Forces bases in the center of the country to the Negev to the Israel Land Council for final approval. In doing so, for all intents and purposes, he is holding the plan hostage to his budgetary demands. Sources in Ariel's bureau believe that by the time the parties meet again, next Tuesday, the treasury would have folded. What we are dealing with here, in fact, is a dispute on two levels. On the one hand, it's an argument over money. Following the decision to bring forward the elections, the government has been operating in keeping with the 2014 budget; but Ariel is demanding sums that exceed the approved budget. According to a February 16 letter from Housing Ministry Director General Shlomo Ben-Eliyahu to the Director General of the Prime Minister's Office, Harel Locker, the demands total more than 360 million shekels. One of the demands calls for an additional 30 million shekels for protective measures for settlers living in the heart of East Jerusalem's Arab neighborhoods. Housing Ministry officials deny any link between the delay in approving the plan to move the IDF bases to the Negev and the ministry's financial demands, claiming that the two issues are unrelated and apolitical professional disputes. However, those in the know outside the government are convinced there is something more to the story – that at play is an effort on the part of Ariel and others from Bayit Yehudi to delay the evacuation of the IDF bases in the center of the country so as to encourage Israelis to buy homes in the West Bank. Housing Ministry officials reject these allegations, claiming that they support the plan to move the IDF bases, but are also concerned with the finances of the ILA and its independence. This leads us to the second level – the political aspect, which comes to light in the plans formulated by the Housing Ministry. One-sixth of the housing units planned for the coming years are in the territories, with a large number of units slated for construction in isolated settlements such as Ma'ale Amos (6,000 housing units), Bat Ayin (6,000) and Nahliel (3,500), or even settlements that have yet to be established, like Gva'ot (1,060) – a clear indication of the government's intentions vis-à-vis the settlement enterprise. Construction plans for East Jerusalem also draw intense flak from around the world, including the United States. 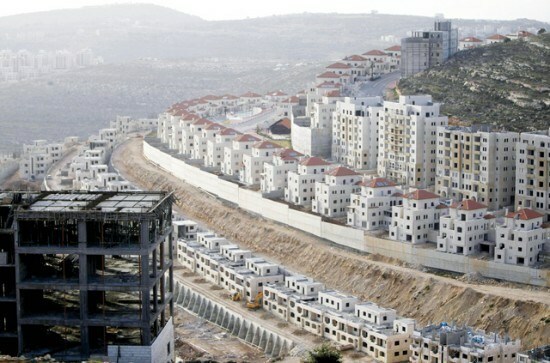 The Housing Ministry's plans include the building of 15 thousand housing units in Jerusalem, beyond the Green Line. I spoke to a senior government official, apolitical, about the plan. "The lesson I have learned," he said, "is that the land of the state, its most precious asset, should not be entrusted to a sectoral party. A sectoral party cannot serve the interests of the country at large." The number of new housing units under construction in Jewish settlements in the West Bank increased last year by 40 percent, the Israeli anti-settlement watchdog Peace Now said in a report. 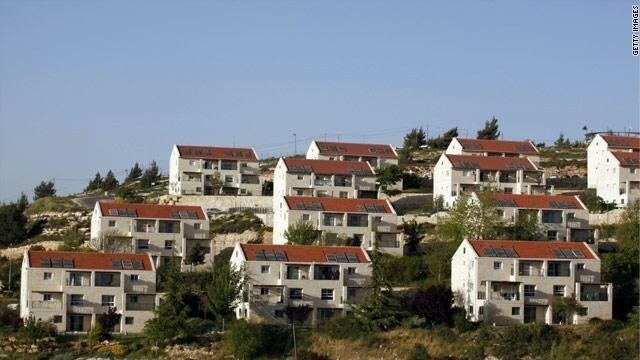 Peace Now added that the construction of 3,100 housing units started in 2014 in West Bank settlements, while the same year saw 4,485 tenders for settlement construction there and in east Jerusalem, which is considered a new record high for at least a decade. "All these figures prove that Netanyahu is doing everything to increase faits accomplis on the ground and make a two-state solution impossible," Peace Now official Hagit Ofran stated in the report. In a separate incident, the Israeli occupation army on Monday bulldozed Palestinian-owned lands in Zanuta hamlet near Shim'a settlement, south of al-Khalil city. Local sources reported that bulldozers under military protection entered the land of al-Khudairat family and embarked on leveling it, adding that Israeli soldiers prevented residents from the hamlet from approaching the area. They added that the Israeli army had threatened lately to demolish and seize dozens of Palestinian homes and lands in the southern area of al-Khalil in the context of Israeli plans to expand and build settlements. Israeli occupation authorities (IOA) annexed 27,000 dunums out of 30,000 dunums the total area of Abu Dis town southeast of Jerusalem for settlement expansion. Head of Abu Dis local council and member of the Popular Committee against the Wall and Settlement Adel Salah said, in a press statement on Saturday, the Israeli authorities escalated its unjust military decisions especially in towns located in southeast Jerusalem. The towns of Abu Dis, Alizeriyeh and Sawahrah has been isolated by the Separation Wall and separated by barriers from other West Bank cities and towns, he added. Salah called for an urgent action to halt the Israeli continuing violations against Palestinians’ lands in Abu Dis. The Palestinian activist Salah said these decisions have resulted in establishing and expanding three settlements in addition to constructing a settlement belt around the city of Jerusalem for the purpose of building what is called “Greater Jerusalem”. Salah blamed the international community for its humble solidarity which does not reflect the great suffering sustained by the Palestinian people and the great danger of confiscation of more Palestinian lands for the implementation of the Israeli occupation settlement plans. Salah called on the Palestinian people and leadership, inside Palestine and abroad, to confront these plans, urging the media to expose the Israeli settlement plans and violations.